Microsoft Xbox 360 price drops to Rs 19,990: Is it worth buying? Home / News / Microsoft Xbox 360 price drops to Rs 19,990: Is it worth buying? Microsoft has launched a new 500 GB model for their Xbox 360 console bundle in India at just Rs 19,990 and adds in two games, Call of Duty: Black Ops II and Call of Duty: Ghosts along with one month Xbox Live Gold membership as well. Along with the launch, the company has also announced price cuts for various Xbox 360 versions. The price for the 4GB standalone Xbox 360 model is now Rs 12,990. The 250 GB Xbox 360 model with Kinect which was Rs 31,990 prior is now available for Rs 29,990. The 4GB Xbox 360 with Kinect which was available for Rs 26,990 is now available for Rs 21,990. The devices are available with Amazon India. So is the 500GB Xbox 360 worth a buy? If you are a budget-buyer and still want a gaming device under Rs 15k, then the Xbox 360 standalone model is the best option right now. The 4GB version however won’t have enough space if you want to download loads of games. If you are willing to spending slightly more, Sony’s older console, the PS4 is available in India starting at Rs 16,990 for the base 12GB version. In short, going for the Sony PS3 will buy you some more space for Rs four thousand more. On the other hand the Sony PS3 500GB version costs Rs 22,990, which is now Rs 2000 more that the Xbox 360 500 GB version. For gamers Microsoft bundling Call of Duty: Black Ops II and Call of Duty: Ghosts might also be prove to be a plus point when considering the Xbox. If you are looking to buy the latest gaming device, the Sony PS4 is priced at Rs 39,990 while the Xbox One is priced much higher in India at Rs 45,990 for the gaming console plus Kinect and extra controller. The Xbox One without Kinect is priced at Rs 39,990. As far as features of the Xbox 360 500 GB version are concerned, it has a 802.11n Wi-Fi built in and you can download or stream HD movies, TV episodes, and games from Xbox Live Marketplace in 1080p and 5.1 surround sound from anywhere in the house. The only problem is that in India not a lot of apps such as Netflix, etc which provide good content might work. However the Xbox 360 doesn’t support 3D Blu Rays and USB media unlike the Sony PS3 which supports Blu-Ray. This console is also Kinect ready and if you shell out more for a Kinect sensor you can link it to the 500GB version. The sensor is, however, worth Rs 10,000 in India. 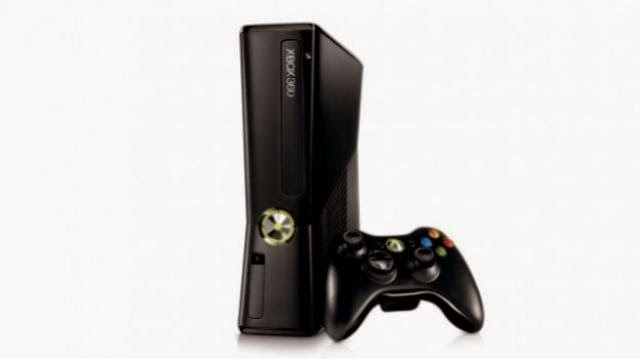 Xbox 360 also comes with a composite A/V cable, which allows users to connect their standard-definition televisions and enjoy high-quality audio as well with the included stereo connector. More importantly Microsoft is giving away one month of free Xbox Live Gold membership, which gives free access to games like Halo and Forza Motorsport. The membership is worth Rs 3,400 and gives users full Xbox 360 game downloads, Xbox Live Arcade games and unique fashions and props for your avatar. Users also get Gold-exclusive discounts like the Deals with Gold, early access to content, including free game demos.